We had our 2nd annual Phenomenal Females event on International Women's Day to honour 5 Phenomenal Females who came to share their experiences and advice with the girls from St. Anthony's and Mary's Child. This year's honourees are Kristina Newsam, Renée Lloyd, Judene Edwards, Saffron Brown-McDonald and Sevana. 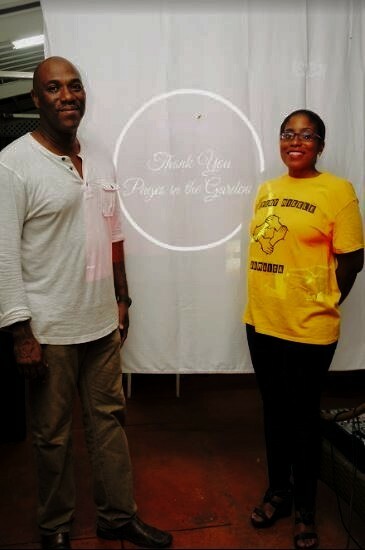 Thank You to Pages in the Gardens for our delicious meals, Gifts And More for the beautiful gift baskets and Rejuvenation Day Spa for gifting the caretakers much deserved relaxing mani-pedis. Kristina is a phenomenal 26 year old mother of 1 (David). She is currently a writer for mycrickethighlights.com. 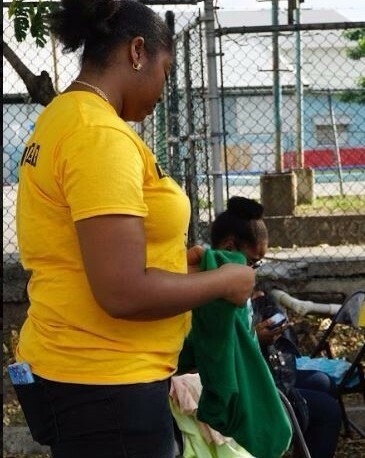 In the past she has served as a Reservations Agent for Caribbean Airlines and has served on the National Council on Youth Development. Kristina has taught Spanish at Queen’s Prep and Piano at Cole Musiq. Congratulations Kristina! Kristina shared how to follow our dreams and gave us practical steps to stay inspired and be successful. Thank you Kristina! Renée is a phenomenal 27 year old who plans on having 3 children in the future. 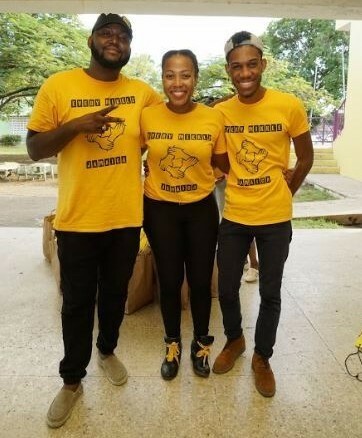 Renee earned a Bachelor of Science degree and a Master’s degree in Politics and International Cooperation from UWI, The Institute of Political Science in Bordeaux, France and The University of the French West Indies in Martinique. She is currently working at her first job as a Foreign Service Officer at the Ministry of Foreign Affairs and has been there since 2012. Congratulations Renée! Renée came and showed us how to say some very useful phrases in Spanish, French and Korean! Thank You Renée! 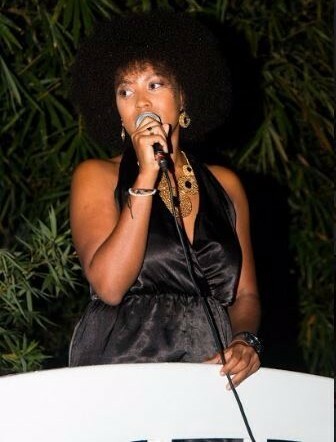 Judene Edwards is a phenomenal 27 year old woman. 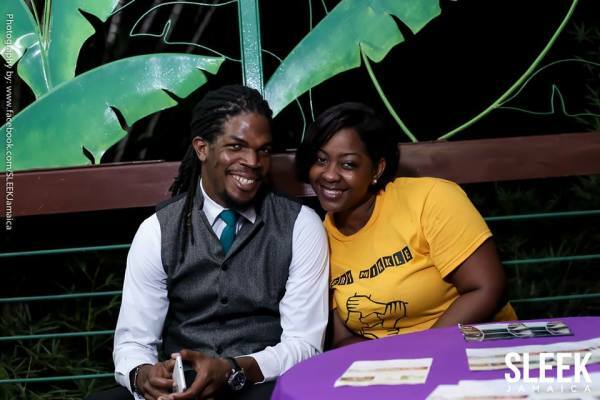 She has a Bachelor of Science Degree in Hospitality and Tourism with a major in Events Management and a Minor in Marketing from UTECH. 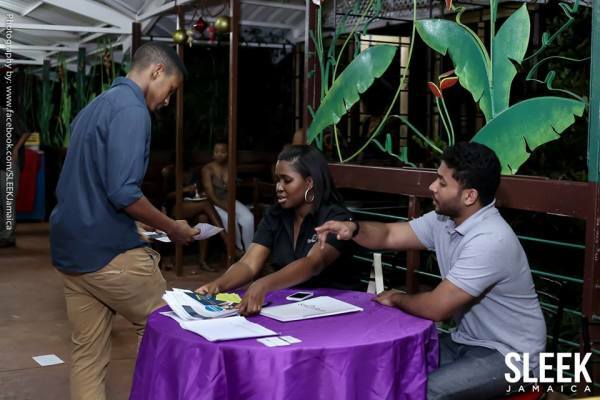 Judene works as events coordinator for the Office of the Governor General and Staff of Jamaica. She also owns the One Body One God Dance Ministry and serves as the artistic director for the company. Congratulations Judene! Judene showed us the key elements of event planning then taught us how to plan an event from scratch. Thanks Judene! Saffron is a phenomenal 22 year old mother to Sayuri (2) and wife to Shaq. She is a customer service/sales agent and entrepreneur. She has her own swimsuit line called Safari Swimwear for which she makes the swimsuits, models them and markets them online. She previously had a clothing line for babies called Sayuri’s (named after her daughter). Her last job was as a customer service agent at Interior Décor. Congratulations Saffron! Sevana shared her story with us and bonded so well with the girls that she'll be visiting them at their home. Thank you and congratulations Sevana! Our youngest and cutest participant came to hear her mommy, Saffron speak. Thank You David Brown and the Pages in the Gardens staff for accommodating us each year and providing such delicious food! Kimberley stands with David Brown from Pages in the Gardens. Check them out! The food is exceptional, the ambience is ethereal and the surroundings are breathtaking. They are located in Hope Gardens. Our Executive Director, Rachel Brown Skyped in from Barcelona so she could be at the event. That's dedication! This is one of the aunties who supervises the girls daily. She helps them with their babies, prenatal care, cooks for them, helps clean with them, helps manage the home, keeps the girls safe and keeps them happy. We decided to treat her and the other aunty present for their hard work and thanks to Rejuvenation Day Spa, they will be getting relaxing mani-pedis. Kimberley and our awardees. 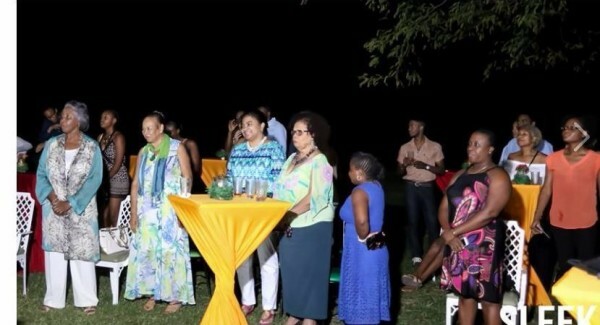 From left: Saffron Brown-McDonald, Renée Lloyd, Kimberley Lawrence, Sevana, Judene Edwards and Kristina Newsam. We can't believe this is our 4th Fun Day! We had a blast as always. 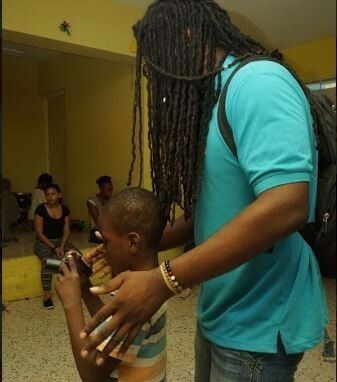 This year we had football, ultimate frisbee, dance workshops, art and craft, mani-pedis, games, and a brand new music workshop (Thanks AIU and friends). We served 100 kids and had 75 wonderful volunteers. Thank You to our fabulous sponsors; Pages in the Gardens, KFC and Liberty Academy. The kids beat the volunteers but they tried their best. Thanks Schoy Stewart for showing us some moves! Ryan is our resident top athlete. What can't he do? One of the band members present. We had singers, keyboardists and sound mixers. The finished product was amazing! Ludlow our Director of Marketing keeps us in check! They might be silly but they get the job done! Mr. Brown from Pages in the Gardens shows the volunteers how to use the deep fryer safely. Now to test what they've learnt! Stefon and Christina did well! Kimberly Lawrence makes it look easy! Julian and Rachel have known each other their whole lives. Friends that volunteer together stay friends forever. 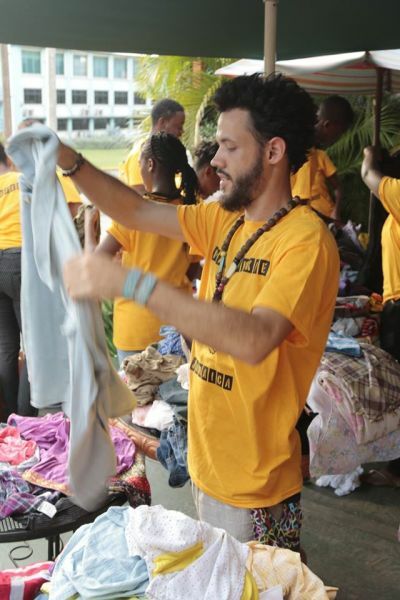 Each child got their own bag of clothing, a gift, books and an Every Mikkle drawstring bag. Wade and Rachel check the info quickly! Careful! This one is heavy! 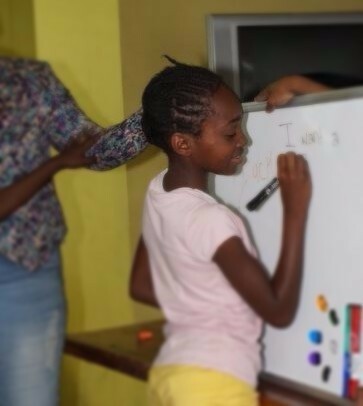 Monique was one of the children we helped since 2013. Now, in year 4, she's been adopted and volunteers with us. Inspirational! Ludlow Dawes (Director of Marketing), Rachel Brown (Executive Director) and Wade Green (Director of Operations). Wade plays tag with some of the kids. Our Director of Operations, Wade Green, can do anything! 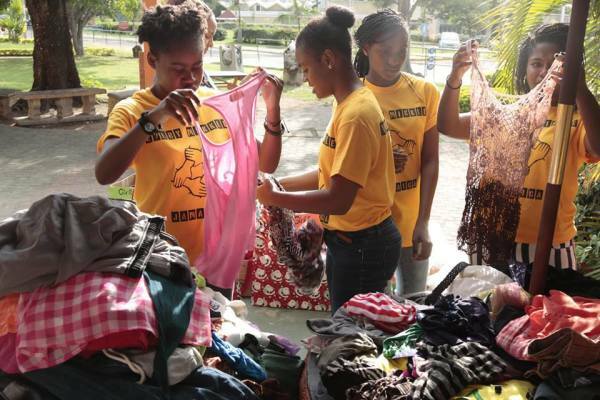 Our Clothing Drive was even better this year. 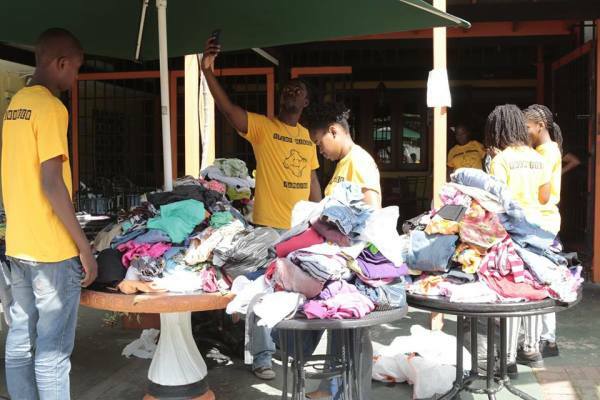 We collected over 250 pieces of clothing! Thank You to the YMCA for allowing us to have our clothing drive at your location and thanks to Su-Yen Green for baking cookies for donors. They were fantastic! Who Could This Be For? Thanks for the delicious cookies Chef Su! Aisha has developed a strategy! Moving so fast the camera can't focus! 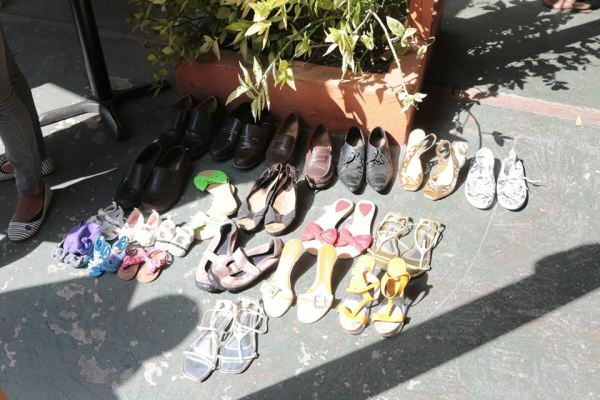 Each child got their own personal bag of clothing according to their needs, age, size and gender. Kemo loved his bag! Exhausted but accomplished! This is how we look after a full day's work! 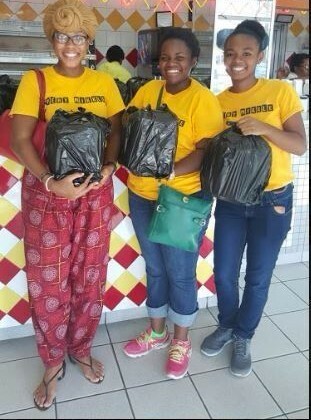 We fed 100 homeless people with the help of the KSAC Poor Relief Department and Captain's Bakery. They were so grateful for the food and we were so grateful for the opportunity to give it to them. Our Director of Operations, Wade helps us to try and get all the food into the car and to the destination safely! It was a tight squeeze! The line went through the door! After serving everyone, our team enjoyed spending time wit them and watching them enjoy the food. This lady was so thankful for lunch! This young man shows us his original sketches. So talented! This charmer insisted on taking a pic with our gorgeous volunteers. Of course we were happy to oblige! Post-feeding, we took a pic with their super woman chef who was so happy we brought food so she could get a break. She cooks around 300 meals every day! These directors are always laughing at something! Their joy sustains them and inspires us! 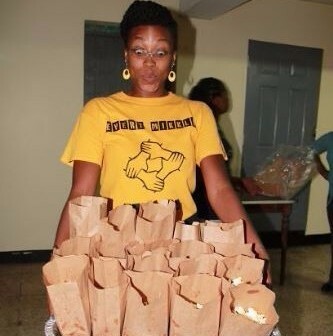 100 Lunches, 100 Full Tummies, 5 Happy Volunteers Every mikkle mek a muckle! We love to paint, the kids love to paint and we all love to make our surroundings beautiful. 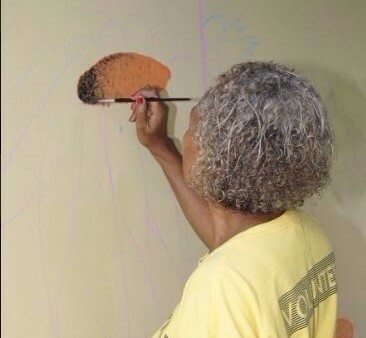 In an effort to lift the spirits of the children every day and beautify their environment, we made a mural at the Jamaica National Children's Home. It came out great! Our resident motivational speaker, Carey-Lee Dixon gets help from our E.D. Rachel Brown to ascertain the thoughts, dreams and desires of the children before putting representations of their dreams and themselves on the mural. This ambitious girl wrote down exactly what she wants in the future. Can you guess what it was? The vision for the mural was to paint a garden with each pot belonging to one child containing a plant filled with their dreams. Awesome, right? Our artistic director, Jacqueline Douglas-Brown shows us how to paint sunflowers. This little one worked so hard she got paint all over her hair! Good thing our Artistic Co-Director is also a dancer. She managed to balance on a table while painting with paint in hand and a bag on her back for hours! Look at the next pic for the final product! Her beautiful rendition of our National Bird! Two kids putting the final touches on the logos of our sponsors: BH Paints and Smart Term! Major Keys for Success was designed to focus on careers in the arts to increase exposure to untraditional careers. This event was the first in the series and focused on making Music Videos through workshops on Filming, Choreography, Dance and Recording songs. Rachel watches the dancers move! Director Ludlow shows us how it's done! The Dancers from the UWI Law School came and showed us their moves! Thanks for showing us some moves! 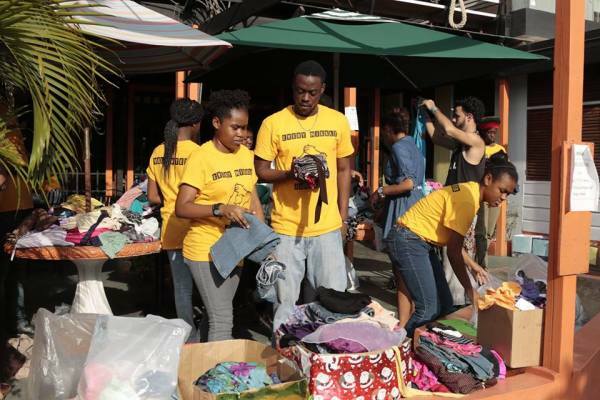 On December 18, 2016, the Every Mikkle Foundation launched as an official NGO. We had lots of great food (Thank You Pages in The Gardens), A dance performance (Thanks OBOG), A reggae performance (Thanks 5 star), A song (Thanks Jaida), A poem (Thanks Monique) and a live painting (Thanks Reanna and Kacey). We danced, we ate and we celebrated charity. Thank You Pages in the Gardens for catering. The food was fantastic! 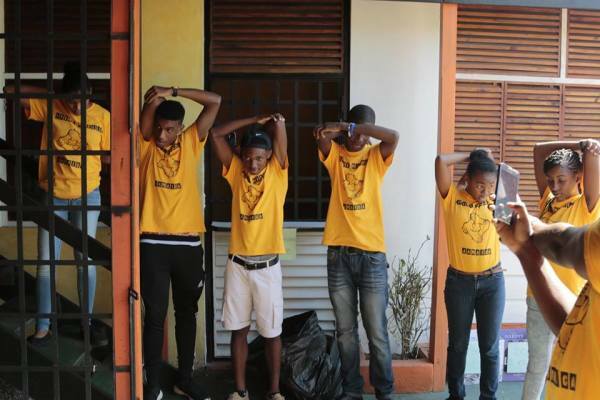 Ps: Check them out in Hope Gardens. Our Director of Marketing, Ludlow is also an MC on the side. Thank you Soyini for being his fabulous co-host. Thank You Smart Term for being one of our fantastic sponsors! If any of you are looking for an online education platform, this is definitely the best one! Thank you Avn Fullwood from Fully Covered Events for doing all of our decor! The place looked great! Some of our supporters checking out photos from past events. 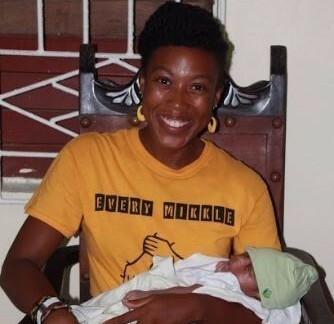 What Does Every Mikkle Mek A Muckle Mean? Darren explains the meaning of the saying. Thank you One Body One God for blessing us with your incredible moves! Jaida, one of our student ambassadors sang some classic Bob Marley and Christmas Carols! Such a great voice! Reanna and Kacey, two student ambassadors painted this right before our very eyes! Fascinating! Dena-Mae Brown won the auction for this fabulous piece! Our Executive Director thanks the audience and gets ready to present the awards. They're not old but their friendship is! These members of the Liberty Academy and their family came out to support us as always! Thanks Liberty! Our E.D. spends some time with our guests. Thanks for Supporting Us George's! The volunteers made all of these by hand to thank our guests for coming. Thank You for Your Support! 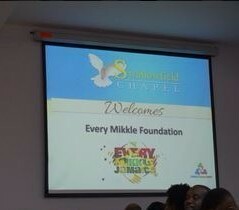 On December 18th, 2017, The Every Mikkle Foundation had a dedication and received prayer at Swallowfield Chapel. A service honouring service! Love it! So happy to have the group together! From time to time an angel will bless us and sponsor an event close to their heart that also touches the hearts of those we serve. This year, on April 1, Lisa VanArsdale created Women of Dignity and sponsored a motivational workshop consisting of vision board making, dinner, snacks and tons of inspiration for the girls at St. Anthony's and Mary's Child. This brilliant woman and Phenomenal Female 2016 honouree showed us her own vision board then how to make one. One of the girls is making an awesome board. Check it out! Rachel, our E.D. and Gabby, a Student Ambassador are making popcorn...on the stove! We do it all! We gifted each girl a much-needed journal and shared how to use them. You made this day wonderful and had such a huge impact on the girls. Women of Dignity 2016 was a dignified success! 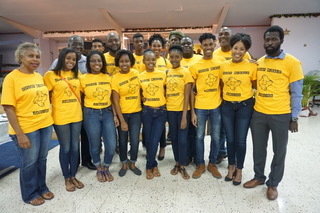 The Every Mikkle Foundation partnered with the Rotaract club of Kingston to restore and refurbish the chicken coop at the Jamaica National Children's Home. We donated 100 chickens, built the coops, played games, had snacks and then gave them the supplies for the chickens. Thank you Rotaract for partnering with us! The chickens arrived and were too cute to resist. Our Executive Director inspects the chicks quickly. Our resident chick whisperer shows Pierce, the President of Rotaract and Rachel, the E.D. of Every Mikkle, how to hold a chicken. We have a quick chat right before getting ready to put the chicks in the coop. These two share a ride to the coop. Resident big brother shows us how it's done. Our resident electrician, Jahson does some work on the structure. We showed this young builder in the making how to use a hammer and he caught on very quickly. "Teach a man to fish, feed him for a lifetime." Stephan is hard at work on the mesh. He did a great job! Jermaine shows Michael how to tell time. Darren explains the game of Dog and Bone to the kids! Our Director of Public Relations, Mark and Michael check out the finished product. So cool! Our Director of Operations wears many hats...and many shirts. lol He's also a proud Rotarian! 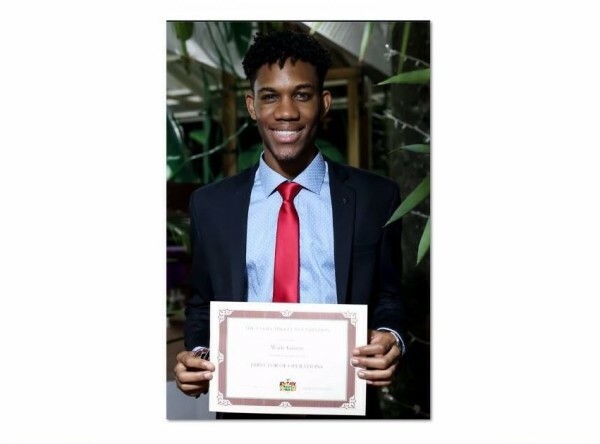 UWI Medical Student and co-founder of Go gives us tips on how to keep fit while pregnant or post-pregnancy. We did some pre-natal yoga and worked up an appetite! Chef and Entrepreneur gives us a quick and fabulous cooking demo. Thanks Sam for all of the tips! We will be making poached eggs and crepes soon! This fabulous architect and also expectant mother talks to us about how to plan our days and journal to release stress. Talia, a wonderful young lawyer and TV host looks up at her presentation on how to dress to complement your body-type. Motivational Speaker and founder of For Women to Women was our very inspirational key-note speaker this year. She spoke about the necessity of serving as advocates for our fellow women as opposed to rivals. A much needed talk! After the lessons come application! Thank you Zoe for serenading us with some Alicia Keys! The theme for International Women's Day was well celebrated at our event. Thank you Pages Cafe for sponsoring us! 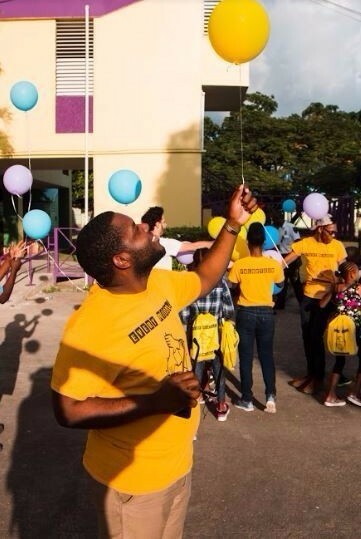 The 2015 Fun Day was better than ever. We catered to over 100 children's home residents and had a blast. We did yoga, we learned dance moves, we learned how to plant vegetables, we made kites, we got mani-pedis, we played ultimate frisbee, we played football, we made ornaments, we ate and just had a blast. Thanks to Adam from "Plants by Addy" for teaching us how to grow our own food! We can't have a Fun Day without football. Thanks Schoy Stewart for teaching us how to "gas"
Can you guess which dance we're doing? Fun Day Salon is in full effect! Renee is hard at work! Look closely, we see you! Thanks for the session Nanny! Our resident dance teacher Schoy and his friend from Germany with our E.D. Wade helps a resident that does not have full use of her legs to DANCE! Thanks Sam Strachan for blessing us with that voice! 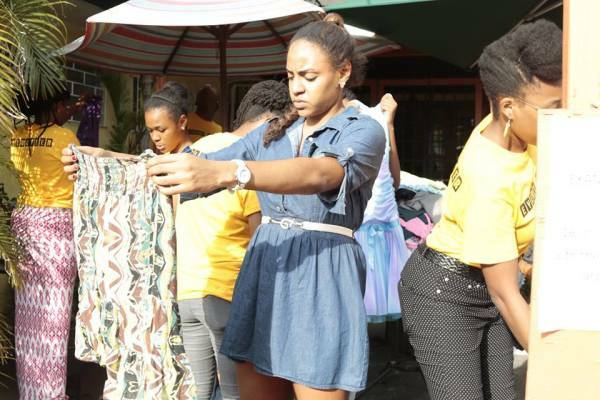 We collected over 150 pieces of clothing to be donated to the residents of 4 Children's Homes. Thank YOU for your support! Naturally we had to warm up first! We sorted each piece by age and gender then assigned them to each child we served, wrapped them nicely and labelled their gift. ...In the Shade. Talia is working hard i the heat. 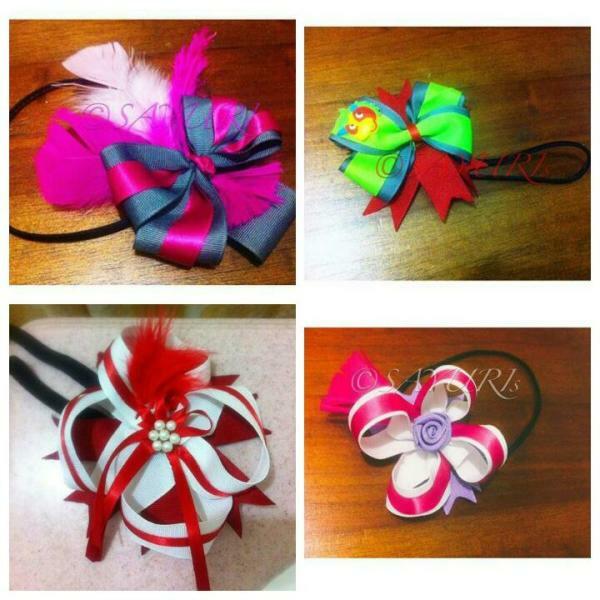 These are only some of them! Mark is our Director of Public Relations after all! 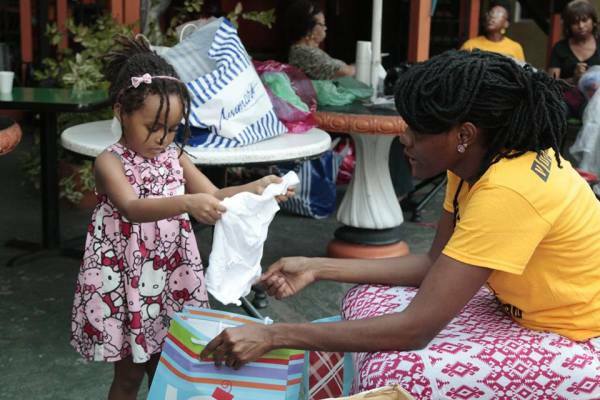 Our youngest volunteer, Genesis helps her mom, Selah to sort the clothing! Soooo cute! 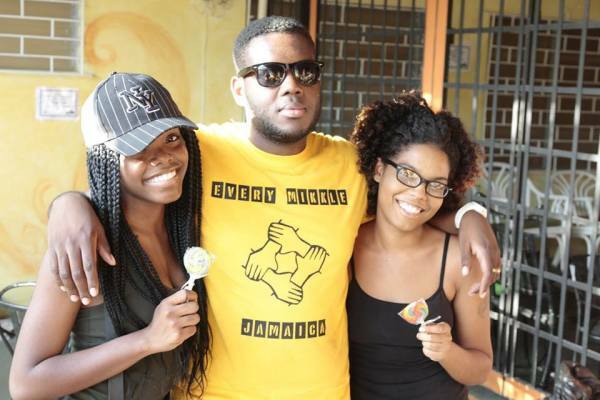 Two donors pose with Julian and their thank you lollipops! It was the least we could do! This year was even better than last year. We helped to give Christmas to 75 residents from Dare to Care, St. Anthony's, Mary's Child and Matthew 25:40. We played games, made kites, played football, learned a few dance moves (Thanks Schoy Stewart), had a talk from a motivational speaker, got mani-pedis, watched great performances, ate to our hearts' content and had a blast. Thank you Pages Cafe, First Caribbean, KFC and Liberty Academy for being our sponsors this year. Our motivational speaker had several small groups to inspire! Resident football director Ryan Dyer getting a star player ready for the match! Looks ready to me! Every Mikkle needs an EPL team. Bagjuice is an important part of every Fun Day! Thank you KFC for your continuing support! So much fun learning to do the "dooly dooly" with Konfu Dread! Taj and Peazy talking strategy with their team! Talia and Reanna got it covered. Adam helps blow this balloon like a champ! Just some of the Christmas gifts for the kids. We personalize and tag every single gift. Sanjay and Rachel for a quick pic! This was our first annual Christmas Eve Fun Day and it was amazing. We served the residents from Dare to care, St. Anthony's and Mary's Child and we had a blast. We did arts and crafts, played football, danced, watched performances, ate and exchanged gifts. 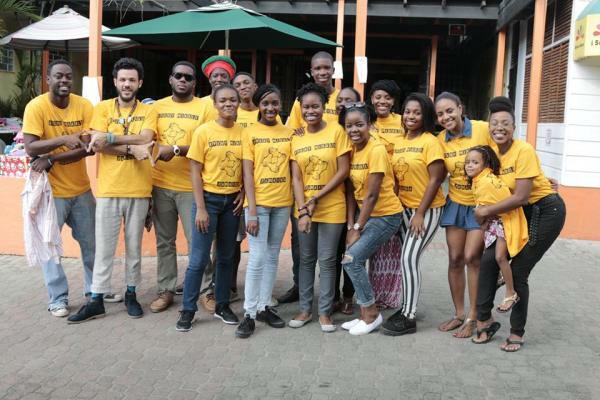 Big up our sponsors Pages Cafe, KFC, First Caribbean, and Liberty Academy for all of their help! We got the moves... like Mikkle! Thank you Pro Moves for coming out and showing us your...well...PRO MOVES! Its was awesome! We smile while we serve! Watch Jordan make a wicked goal! We also have athletes in numbers! Challenge us anytime! Wi ready! True joy is found in bringing joy to others! We love our babies and we take their futures seriously! Meet our super talented resident artist and source of creativity, Saffron! This is our resident photgrapher in an actual photograph...rare! Big up Yannick Reid! We do good and look good. Ever tried it? Kids versus "Old People", who do you think won? Watch out Kenya! She's ready for you! Teri's putting the final touches on her nails. Tired but passionate. Ready for lunch! Our team works so hard! Thank you KFC! Yum! KFC every Christmas Eve! Heading back to the bus! Until next year!